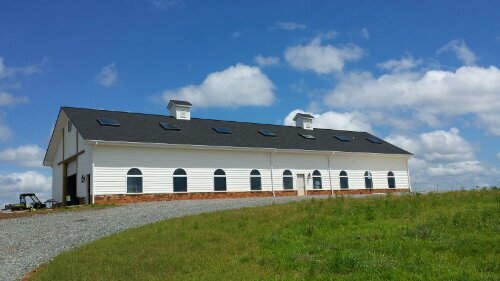 If for one reason alone, you should attend Lickinghole Creek Craft Brewery’s Grand Opening because it is absolutely gorgeous! I mean just look at this view from my visit back in June. Go ahead and click the photo to see the full breathtaking image. Oh but you want to know about the beer. 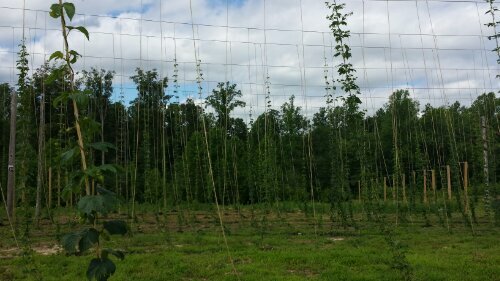 When owner Sean Thomas-Pumphrey took me on a tour of the farm, he mentioned they would be brewing mostly Belgian style beers naming out a saison, tripel, and pale ale to start. Short Pump Saison Virginia Farmhouse Ale, 6.8 % ABV, 35 IBU. Our ode to Belgian Farmhouse Ale. The Short Pump name comes from the colonial era Short Pump Tavern, a famous mid-way point between Richmond and Charlottesville. Lickinghole Creek’s Saison matches Premium Imported Belgian Pilsner Malt with two types of Rye. First Wort Hopped (an old German brewing technique) with American Grown Galena Hops and Hop Bursted (a newer American technique) with large amounts of Columbus and Nugget hops. The combination of the malt, rye and hops creates a beer with a distinguished hop aroma, a more undeviating bitterness and a more balanced beer. Limited quantities of this one! I hear those three kegs went very quickly. Gentleman Farmer Estate Hop Ale: 7.5% ABV, ??? IBU The concept for this beer is the reason LCCB exists. We wanted to create a beer with ingredients that we grew on our family farm. Gentleman Farmer was made with hops grown on the farm the brewery is housed on. One of the only of its kind in the Commonwealth, Gentleman Farmer is LCCB’s foray into adding terroir into the world of Craft Beer. Very limited release. Magic Beaver Belgian Style Pale Ale: 5.5% ABV, 35 IBU LCCB’s flagship is named after the nearby Magic Beaver pond on the farm’s property. Premium Belgian Pilsner Malt and Authentic Belgian Yeast are combined with American Grown Galena, Columbus and New Zealand Pacific Jade hops. Magic Beaver is a hop-forward beer that mixes the mystery of Belgium with the flavors of North American and New Zealand hops. 2 Special Release Beers: Descriptions and types to be released later. Our entire lineup will be available on draft, in growlers, and some will be available in bottles beginning at 2pm. Special Release Beers will be dispersed in different variations throughout the day. I am most interested in the concept of terroir in the Gentleman Farmer series. I know one of these will be a pumpkin beer using pumpkins grown on the farm. These pumpkins were just sprouting at the time of my visit. Another aspect of this principle will be seen in the planting of boysenberries, blueberries, and blackberries as well as wild blackberries on the farm. These berries could easily find their way into the saison or tripel and who knows maybe even the pale. So how about this? Bring the family and a picnic. It is sure to be a perfect day for it. Maybe take a stroll through the hopyards. Head over to the Facebook event for more information. Music will be provided by Barrelhouse and Three Sheets to the Wind. Head out and raise a glass as Legend Brewing kicks off their twenty year celebration and enjoy 1994 pricing on Lager, Pilsner, Porter, and Brown Ale. 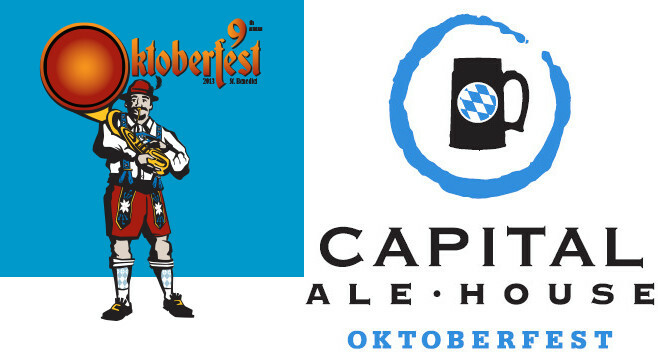 Governor Bob McDonnell will tap their Oktoberfest firkin at 6:45pm. Late post as the day is almost over. Here’s what you’ll find going on around town this weekend or as I like to say On Tap. I’m going to try and check out RVA Street Art Festival before they close down at 6pm. If you miss it, don’t worry they’ll open back up at 11am Saturday. Also, don’t forget to grab some grub from Acacia’s side door. Heading over to look at more street art? Stop by Cask Cafe’s pre-opening sneak peek. They will be grilling up Sausage Craft. Hardywood releases RVA IPA starting at 2pm at the brewery with bands playing later. I wonder how it would work in this IPA mustard recipe. Popkin also has their free beer school at 4pm so if you can get there, you’ll get treated to a few cool beers. Finally, Strangeways presents Brews & Burlesque at 9pm. 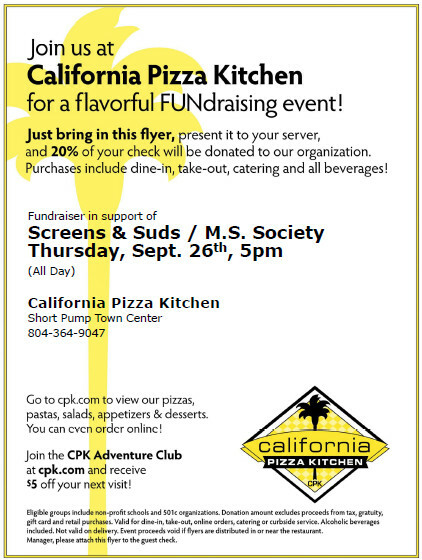 Tickets are $8/person and can be purchased online here. In celebration of the RVA Street Art Festival, you can enjoy Acacia’s Football Beer Dinner anytime Wednesday 5:30-9:30. Grab one of their To-Go specials Friday and Saturday as you check in on the artists’ progress from earlier in the week. Needless to say I was very intrigued when Taste the Local announced earlier today that Hardywood had created a special beer for Fall Line Fest this weekend. Of course, I had to go find out more. Here’s what I have learned about the beer. Hardywood’s Fall Line Fest beer is a blend of Bourbon Barrel Aged Hoplar and Saison Rustica to give it a nice fall spice. It is also dry hopped with Strisselspalt and comes in around 6.6% ABV. Check out the acts here and buy a weekend pass to the festival here.